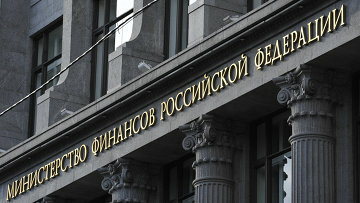 Developer's $122 mln lawsuit against Finance Ministry to be handled on May 18 | Russian Legal Information Agency (RAPSI). MOSCOW, April 20 - RAPSI. On Friday the Moscow Commercial Court postponed until May 18 its hearing of the Middle Shopping Mall's claim against the Finance Ministry for $122 million in expenses for a Red Square project. The developer seeks to recover the total costs incurred in a renovation project on Moscow' Red Square. In June The Moscow Commercial Court partially upheld the lawsuit and awarded the developer the sum of 1.68 billion rubles ($57 million). The developer and Mezhprombank, a third party to the dispute and financer of the project, challenged the judgment. The renovation project was started in 2000. In 2004, Sergei Pugachyov's United Industrial Corporation (UIC) acted as its investor. According to the media, the plaintiff is associated with UIC. However, the building to be renovated was then granted to the Federal Protective Service in 2010. The building's previous owner deemed the contract terminated as it was no longer able to fulfill the project. Middle Shopping Mall filed a lawsuit in order to recover the funds it had already spent in connection with the project. 11:41 20/04/2012 On Friday the Moscow Commercial Court postponed until May 18 its hearing of the Middle Shopping Mall's claim against the Finance Ministry for $122 million in expenses for a Red Square project.